(Newser) – Hollywood has produced no shortage of movies and TV shows about the mob, but this one's coming straight from the most high-profile source imaginable: John "Junior" Gotti has sold the rights to his life story. 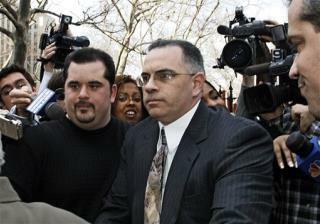 The 46-year-old son of the late, legendary Gambino crime family leader, "Dapper Don" John Gotti, has agreed to a deal with independent production company Fiore Films. Financial terms weren't disclosed, but a film about Gotti's life is in the works with a production budget of $15 million. Does he really want to go into "witness protection" by doing this? I woke up had breakfast Then robbed I had a simple lunch Then extorted I had a large dinner] Then kidnapped I went to sleep.